As November comes to an end, the cold long winter settles in for what seems like forever and it seems as though everyone around you has the dreaded two week cold. No one has time to be sick, especially parents. It’s in our best interest to begin early in the season with gentle preventives that go a long way to ensure a healthy immune response to all those prevalent “germs”. 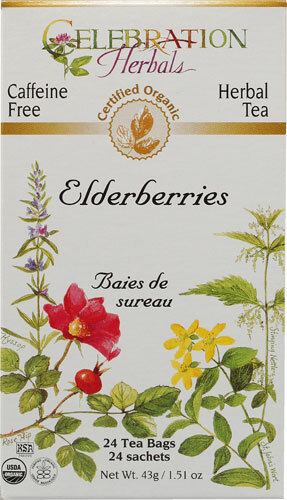 I prefer to use this berry in tea form because it is easier for my family. Alternatively, one can purchase the berries themselves either online or at the local healthy foods store. You can order the tea through(( Vitacost )) which I have found to be the least expensive option. A slightly bitter taste can be alleviated by adding enough sweetener. These little berries shine with both antioxidants and vitamin C. With regular use, one may notice a stronger immune response with less sniffles =] A very simple remedy. I believe one must take breaks from elderberry, or any other preventative. Habituation is always a risk, eh? Love the photo of the cat in the bag. Our cat could have passed as identical to yours. He passed a year ago and we still miss him. Anyway, thank you for following my blog.